This Storm Shoe Bag Navy/Black features reinforced zippers with large zipper pulls, a clear window pocket for personalization, and it can hold up to size 15 shoes! 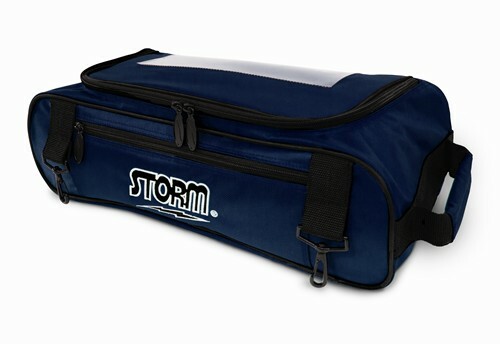 You can carry this shoe bag by itself or attach it to the Storm 3 Ball Tournament Roller/Tote. Due to the time it takes to produce the Storm Shoe Bag Navy ball it will ship in immediately. We cannot ship this ball outside the United States.